The midwife informs Mohammed Hassan his wife has given birth to a frail baby girl; Mohammed makes a face, and then looks to the heavens helplessly, accusingly. Another daughter! His first wife had given him two and it had been a task and a half rearing them after the wife died. Thank Allah they got suitable life partners and have now left Arab Jadid, a desolate, dirt-poor village in Sarepole, Afghanistan. Mohammed feels trapped and desperate. His second wife is mentally unstable; she, his two sons, a daughter and he barely survive from the meager produce their small draught-ravaged backyard farm yields. Water is scarce; there is no money for school fees, books, uniforms, fruits or meat. Now, another daughter. Shrugging defiantly, he instantly makes up his mind. The new daughter, he spontaneously names her Maryaam, cannot stay, she must go. He will sell her to the highest bidder. Either the sale or the newborn dies. News of the infant-for-sale spreads fast and into the ears of a CAI local employee overseeing the construction of a CAI sponsored housing project for the poor. Shocked, he calls Wasi, CAI Country Manager in Afghanistan, who calls me. Do you want to buy an infant baby girl? He asks. Buying and selling of humans is illegal anywhere in the world, I caution him but immediately make a snap decision. If the father is discarding the baby, CAI’s Sakina Girls Home in Kabul will be happy to have her. I personally agree to pay for a nurse for Maryaam and all the expenses for her needs in the loving and nurturing home at the orphanage. CAI or I will not buy the child. Even with the great distance between us, for a baby I have not seen, my heart tugs at Maryaams predicament. Maryaam will be taken real good care of insha’Allah. She will always know who her real parents are, as the Sharaan dictates. She will, like our other orphans at SGH, go to a good school and become a good Muslima and a responsible, productive, proud Afghanistan citizen. She will marry of her choice and I will pay for that expense insha’Allah; I am making provisions for all this if I were to die before that time. 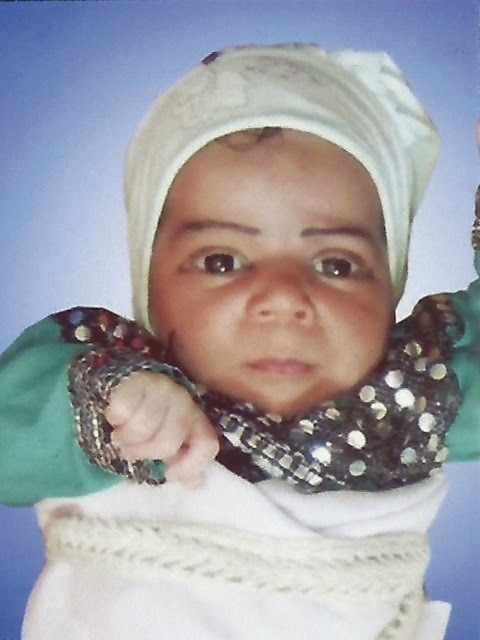 So you pray for little two-month-old Maryaam, for her current health, as she is frail from underfeeding and for her long-term success. I find myself in Dar es Salaam once more. It is nice to be back, except the city seems to have deteriorated. The drive from the airport to city is dreadful, the infrastructure of the place is bursting at the seams; I can’t see how much more expansion Dar can take without something giving. The streetlights in town don’t work, the roads have yet to see any maintenance and the near perfect clock near Moraf roundabout that previously matched BBC time now stands despondently still. People in Dar seem to be in an eating frenzy; all food establishments I visit burst with customers ordering food as if there is starvation predicted. After standing in line at two places for nylon bajeeas I love, I am sheepishly told they are sold out. Zanzibaari mix? Khalaas Bwaana, jareebu keesho. Turd! I walk a short distance and settle for K-Tea Shop kebabs; hot and delicious as ever, never mind the creepy rats scurrying around the alleyway where they are fried. Street kahaawa and khashaata afterwards for dessert puts me in an amiable temperament for many meetings scheduled in the day. At the Khoja masjid, after magreeb salaat, I spot Mullah Mchungu heading towards the exit together with other worshippers; I instinctively try and camouflage amongst the crowd; the last thing I want is for the old crank to waste my time in trivial and combative arguments. But waapi, the guy may be old but he seems to smell people out even if he may not actually see them. Ah Kisukaali, he says after we are done with (sham) pleasantries, you are in Dar at a very opportune time. My nawaasi’s neekah is tomorrow so I am inviting you to the event and waleema the day after. It is at the Golden Tulip Banquet Hall in Oyster Bay. I facilitate him on the happy occasion but get ready to decline the invite. The Mullah’s face darkens in ire as he switches his walking stick from one hand to another. If we were not within the masjid’s premises, I would have worried, perhaps, but I am safe here. He grasps my shoulder instead and shakes it. Gee, the man’s fingers seem to be made of steel; I wince in discomfort. Aree ghadheera! I will not take a no. You must come, it’ll be worth your while, I promise. Fodder for all the useless Blogs you write. You will experience something never seen before, walaahee. I will have someone pick you up at nine sharp. Intrigued, I grudgingly agree but insist I be dropped off before midnight since I have a flight to catch later the next day and need to rest. Yah, yah, you need your beauty sleep, I know. Let me take your leave now, I have to attend some stupid Hindu Ghoor ritual for my granddaughter. My daughter will hound me to my grave if I miss it. He briskly departs, not leaning on his cane, making me suspicious if the danda is more for sympathy, threat or defense. There are tons of marriages currently in Dar, so the mosque complex is abuzz with frenzied activity, with waleema biryaani preparation in earnest, harried cooks struggling with wood fires, stirring simmering huge vats from which lifts shifting aromas of onion and garlic, competing with that of barbecued kukus and nundus from nearby dhabas. The three neekah ceremonies next day are uneventful, except for the milling crowds; I do not see the Mullah until he is called up to the front as his granddaughter’s turn comes. Sheikh Allidina and Maalim Chandoo, both brilliant in what they do, solemnize the marriages chap-chap, pointing fingers at the nervous grooms during the neekah recitation as if in admonition, and six individuals are united in three family nucleuses; forever insha’Allah. A tedious, energy sapping, hour plus process of shaking hands, hugging, exchanging sweat, BO and breaths (with everybody present!) follow; I escape as soon as I am done with the Mullah’s family. A driver picks me up from Tanzanite Executive Suites on the dot at nine next day and deposits me at the glittering entrance of the Tulip Banquet Hall twenty minutes later. We pass Oyster Bay and I longingly look at the crowds enjoying muhoogo chips in fiery chilly sauce and kitaale filled with spicy potatoes. I am tempted to request the driver stop and let me indulge but the moment passes. The banquet hall is decked up in such finery; with so many banners and lights I am momentarily confused. Am I really in Dar? A bunch of men stand in a line greeting arriving guests. Guests wait for their turn shaking hands before going in; I join this line. I do not see the Mullah, so am a bit nervous; what if I am asked to produce an invitation card? Not to worry, nobody cares. I find my man just inside the entrance, in a fine expensive-looking shalwaar kameez that seems a lot too large on him. He frets with the nalli waistband, perhaps making sure his shalwaar is still in place. He gives me an evil grin, making me immediately wary. He is surely happy, this being his granddaughter’s wedding? Without shaking my hand, he waves me in. Enter the world of waste and glutton and sin, he says agitatedly, flailing a free arm. Go, gorge yourself. What a hopelessly eccentric man, I think, what on earth is biting him? I enter the hall and stop, as if I have walked into a brick wall. My eyes take in the vastness, the opulent décor and massive array of food under preparation. The first room is gigantic, full of people seated on gaudily decorated cream-colored chairs fringed with gold tresses. The hall explodes with harsh tones from thousands of mini white bulbs. It is a mixed gathering, with many women in sarees and hairdo and bare backs that rival Bollywood’s Kareena Kapoor. An empty stage, decked out Bollywood style glitter, awaits the married couple. I know no one around, so gingerly make my way towards wafts of biryani and barbecue. I am stunned at the variety and amount of food under the roof that evening. Never, ever, in my fifty-seven-year-young-life, have I seen such a lavish and opulent spread; it is incredible. There is chicken, meat and seafood barbeques in several flavors, fresh from a live grill, served by attentive waiters. There is Hyderabaadi biryaani, Muglai kofta, hues of Lakhnoowi kabaabs, haleem, several meat, chicken, fish and prawn curries, both dry and saucy, a salad bar variety that rivals the Taj in Mumbai, various naans, parathas and rumaali rootis, fresh juices, several ice creams and ras-malai. Lakeeni wait! This is the non-veg section. An equally spacious all-veg spread awaits the non-Muslim and vegetarian guests; I don’t bother going there. I try a piece from several barbecue items and a bit of haleem, all delicious; I am full. An excellent round of elchi free ras-malai rounds it all up. Ten different varieties of mouth-freshening sopaari concoctions as I exit the food halls seem disappointing, comparatively. The main hall is a madhouse of loud milling crowds by now, glittering attire and superficial greetings between guests. The bride and groom have arrived and are seated on the stage, surrounded by family or friends; self-consciously smiling at the cameras with smirks they never will display naturally. There is so much light and glitter from photographers and cameramen trying to capture every moment and everybody, I start getting a headache. I loiter around a while and observe. The guests are Khojas, mostly, but there are exceptions. Few politicians are here, flanked by armed security; I can tell other VIP’s, from the submissive reverence and kowtowing they receive. I recognize at least one Bollywood nobody. I am tiring, want to go and rest; I have long flights to India and Bangladesh starting tomorrow. I look for my host to bid adieu and for him to arrange my drop-off; I don’t see him anywhere. He is seated outside, in the courtyard, a slumped lonely figure. I pull a chair and sit next to him. I light a cigarette, he fires up a stinking beedi; I cough. Sallah ghadheera, he rebukes me promptly, you cough at a poor mans joy while you think the fancy one you smoke is made in janna? I ignore him; it is better than tussle with his crabbiness. So, I say instead, how are you Sir, how is your health? The old man ignores me but shifts in the plastic chair uneasily instead. Never mind my health, he responds gloomily, what do you think of the spectacle in there? Unislamic, no? My own daughter, agreeing to this total waste. Not that she has much say in such matters. Her husband is a showoff and the groom’s party is from total first-class ghoonda-class family. Did you enjoy the food? I am quiet for a while, weigh how to respond, for I know my answer will not please nor satisfy this crabby character. The whole thing is overkill, I say carefully, but the food is quite good actually. I would not do it, even if I had the money. But hey, it’s a free world, to each his own, I suppose. To each his own, I suppose, mimics the Mullah. You don’t have the balls to say it is a waste and gunnah. These fools spent over $80,000 for the hall rent, the décor and the catering. Just to feed 2,000 people who are mostly overfed and obese already. How will we, how will I justify this gunnah on the Day of Judgment by not speaking out and admonishing my daughter? You help poor girls get married, yes? Tell me, how many marriages can you cater for $80,000, Kisukaali? Answer! The Mullah roars as I hesitate. How many? I quickly do my math. 160. 160 poor girls married. And my own family paid $80,000 just for feeding people. Not the poor, which would have been acceptable, but the rich, fat and fatter. Allah-ho-akber! This is just for the reception. Just imagine Kisukaali, how much more will they have spent on clothes, jewelry, gifts...useless gifts. My daughter had to gift each female sibling of the groom a gold set and each male sibling a Rado watch; they are six of them. The sasuuma got a massive gold set; thank God the sasroo kicked the bucket a few years ago. Wonder what would he qualify for, a Mercedes? And I hear the honeymoon is at some exotic island off Africa that costs $10,000 for less than a week. The whole shebang cost over $250,000! Can you imagine? I have never been more ashamed, Kisukaali, of my family and me. I guess you want to leave? Mbanja, the driver is ready to drop you. Thank you for coming. Mullah Mchungu sighs deep and long, shudders and then hangs his head. I really feel for the guy; I do! So I hug him briefly and leave. What an extraordinary experience! The food, however, was outstanding. Burp! This wedding episode is fact, of course, except I now forget if the wedding was in Dar, Mumbai or Dhaka? This jet lag is killing me! My novel (print version) has sold 400 plus copies so far, with fantastic reviews. Not bad, really. Those interested can now purchase a copy for US$20 (proceeds still benefit CAI’s worldwide orphanage projects). Here is my guarantee – Order a copy and if you don’t like it, I’ll refund the purchase price of $20. No tension.